I'm just going to replace the head unit with a more modern one from Lowes and keep the chain drive - not worried about it being noisy. I did have to reuse the WD door bracket also, even though the new directions mention the certain death to me and every member of my immediate family if I didn't use the new bracket supplied with the new opener. It works just fine. Here's the new unit installed. I need to clean all the wiring up and modify the power head bracketry this weekend. I'm moving the safety beam sensors up to the center of the header above the door, about 6" away from each other, to get them away from the track bottoms. We have no kids or pets to worry about getting squashed by the door (which has a reversing sensor on it anyway). I've absolutely mangled the old ones from running crap into them......ill leave the wiring in place for those locations though so I can remount them properly if/when we sell the house. I'll just wire them together out of the way and run a single pair of wires to the head unit for a much cleaner look. New unit on top, old, cranky POS on bottom. I'm going to give the old one to my neighbor, who doesn't have an opener at all, if he wants it. I've replaced 3 old chain drive openers with the belt drive and love them. It's nice to have functioning openers at all three locations, controlled from any of three cars (3 button remotes) and the outside remote control. And yes, they are quiet! My sensors are taped together and laying on top of the opener housing (for now). I sell on ebay. I use the GSP. The cost for me is to ship the part to Erlanger, Kentucky and is the same standard rate I would pay to ship anywhere using USPS. Either first class or priority mail. This is an extremely good deal for me, or at least it seems like it. I pay $2.66 for a 1-3 oz package (first class, after ebay's discount on USPS rates), and then it goes ANYWHERE in the world that is covered by the GSP. International Ebay buyers, do you see an additional charge on the listing for use of the GSP? It's nice to have functioning openers at all three locations, controlled from any of three cars (3 button remotes) and the outside remote control. 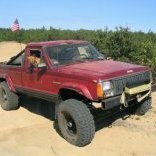 Make sure you have the Jeep running when your programming the home link. Just speaking from experience. My WK owner's manual says nothing about it but is only way it will program. My guy couldn't price it competitively. Was worth a try. Make sure you have the Jeep running when your programming the home link. Just speaking from experience. My WK﻿ owner's manual says nothing about it but is only way it will program. Is Homelink an option that came on the WK or are you using a Homelink mirror or something else? 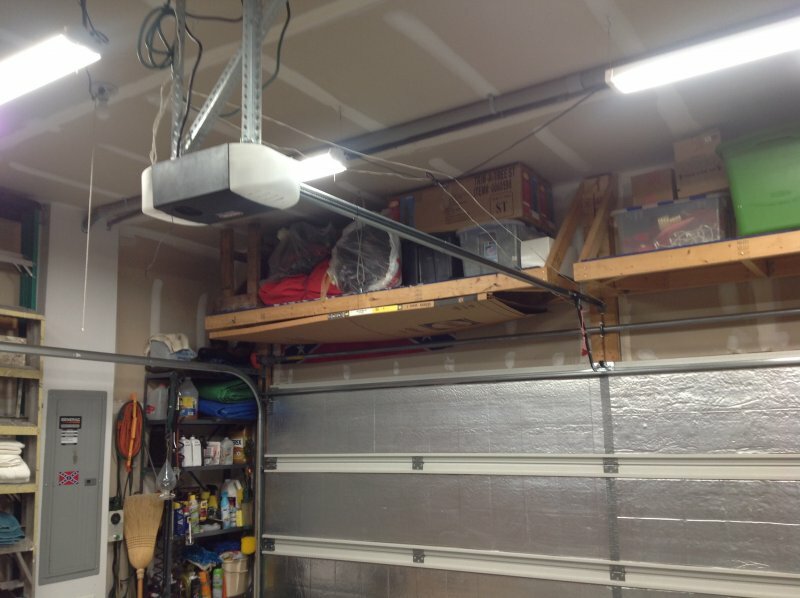 I added a Homelink mirror for my garage doors and can program them w/o running the MJ. It depends on how it's wired. Is Homelink an option that came on the WK or are you using a Homelink mirror or something else? 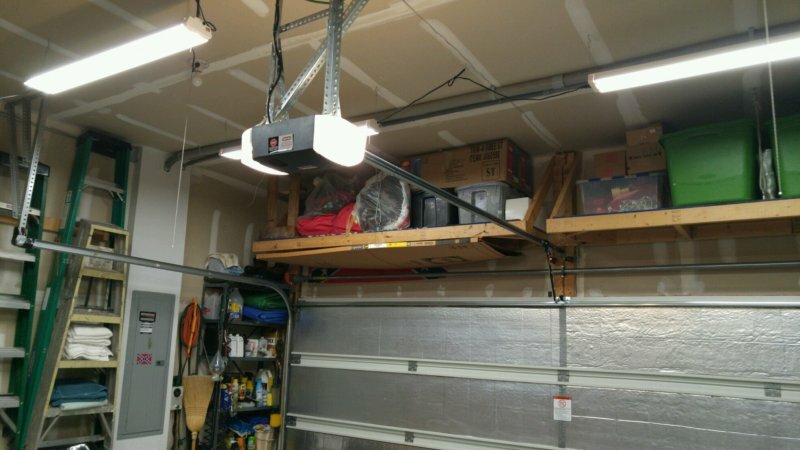 I added a Homelink mirror for my garage doors and can program them w/o running the MJ. It depends﻿ on how it's wired. All factory. It's a loaded limited. I can't believe my 02 KJ actually has Homelink built in, LOL. 3 different buttons even. My wife's '17 Subaru doesn't even have it. Well, I have to eat my words on the Homelink install. I watched an instructional video on the Genie website......it looked next to impossible. Yesterday I pulled out the owners manual that came with the opener and got it dialed in on the first shot. It took like 45 seconds, LOL. I guess my Homelink mirror died. I can press the two outside buttons and clear the codes, but when I press the remote and the Homelink button together, it won't take the code. Just flashes slowly forever. I even bought new remotes. Will have to try a new Homelink mirror I guess..
Don, I played literal hell getting my Homelink to work with my old opener. I ended up just mashing a bunch of buttons in random fits of rage until it finally worked, LOL. It took like 45 minutes. This new one was a breeze. Good luck! I also hit a roadblock. seems the fitbit needs a phone that runs android 5.0 or higher. so my old, reliable samsung rugby pro won't cut it and neither will my amazon tablet. so I had to find yet another device and so I ordered a used but newer samsung phone to use as a tiny tablet. we shall see. I had (still have) a Verizon Boulder, flip phone. Best damn phone I ever owned. Replaced it with a Thunderbolt, which I still have too. It started getting wonky, so I got an S6 (or something). my baby is a "smart" phone, and those quotes are important because as long as you're patient, it'll search the web. just don't ask it to run apps. and that's fine with me. it does the things I need (phone, calendar, alarms, radar, basic camera, to-do list, etc) and restricts me from wasting my life on addicting games and things. also it's waterproof to 3 ft and incredibly drop resistant. and I've tested both things numerous times. I cannot be trusted with fragile phones. I’m a little late on posting this. I went to tractor supply on Wednesday before Thanksgiving because the sales started on Wednesday and I been wanting to look in general see if they had anything good on clearance. Right by the service counter towards the back of the store. 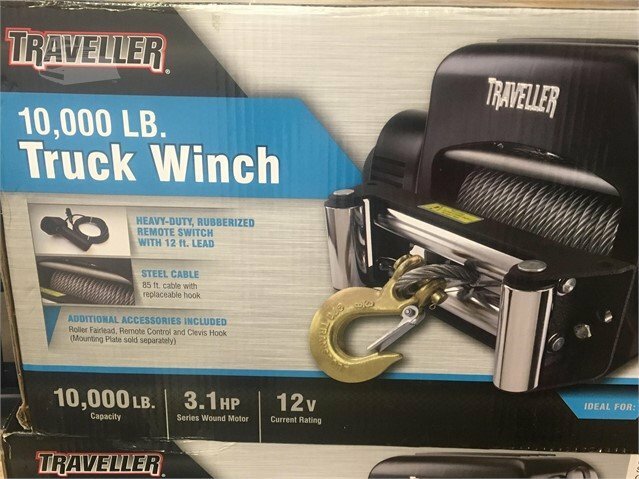 I saw a 10,000 pound winch with an unbelievable price tag. I took it straight to the checkout and bought it. The price was 99.99. 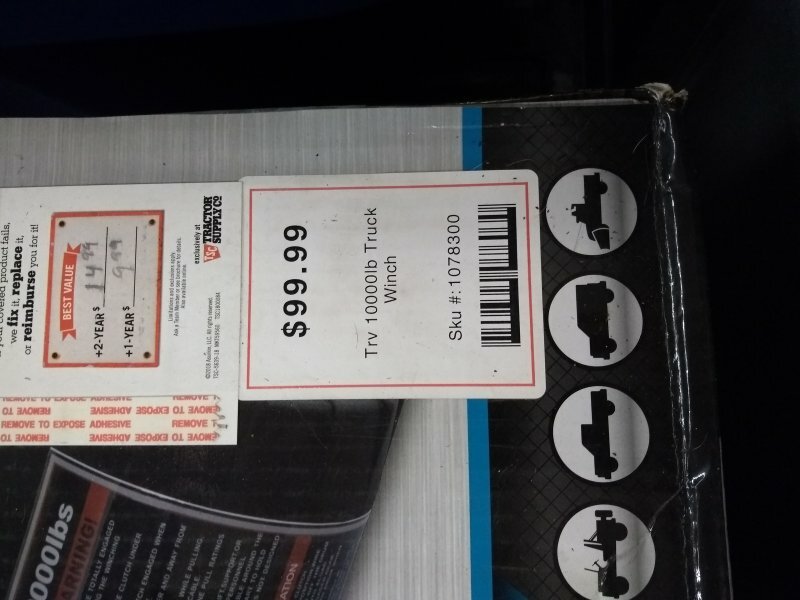 I see if I can post a photo of the price tag on the box. Also got a winch clover there on clearance for 4 bucks. 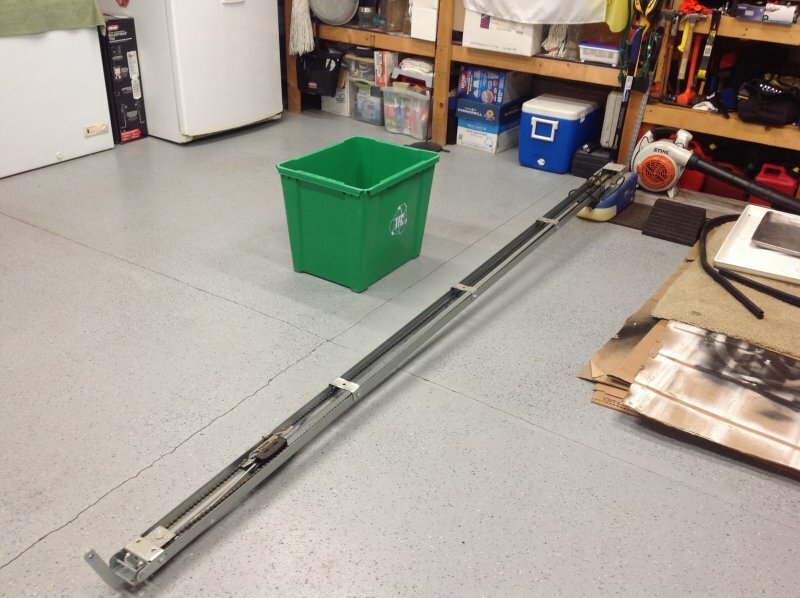 here's a photo online of the winch. Here's a photo of the price tag. Thanks, at that price you have to get it. I felt the same way when I seen the price, pulling capacity, and synthetic rope on the one I got from Amazon. I thought it was about the sweetest deal one could get but you definitely destroyed my deal price by almost triple too.